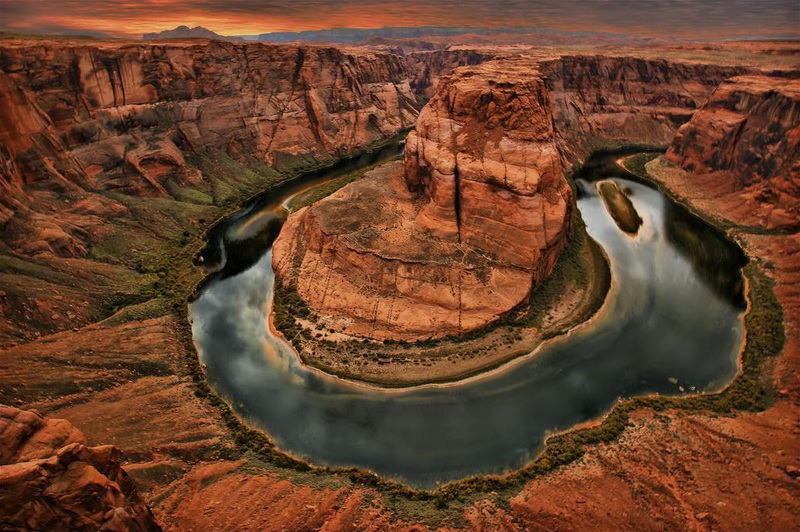 Horseshoe Bend is a picturesque horseshoe-shaped turn in the Colorado River, just South of the town of Page, Arizona. 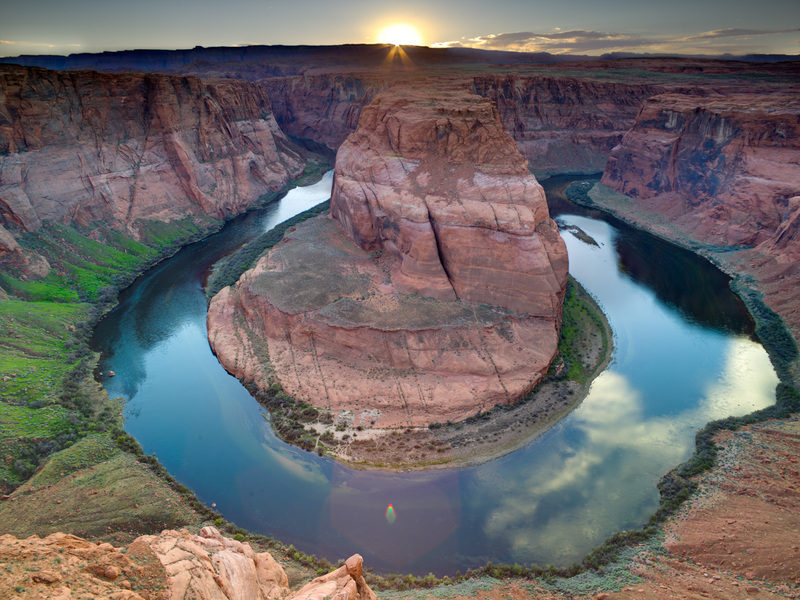 Visitors can reach Horseshoe Bend by taking a short 1/2 mile (0.8 kilometers) hike off US Route 89 to an overlook 1,000 feet (405 meters) above the river. 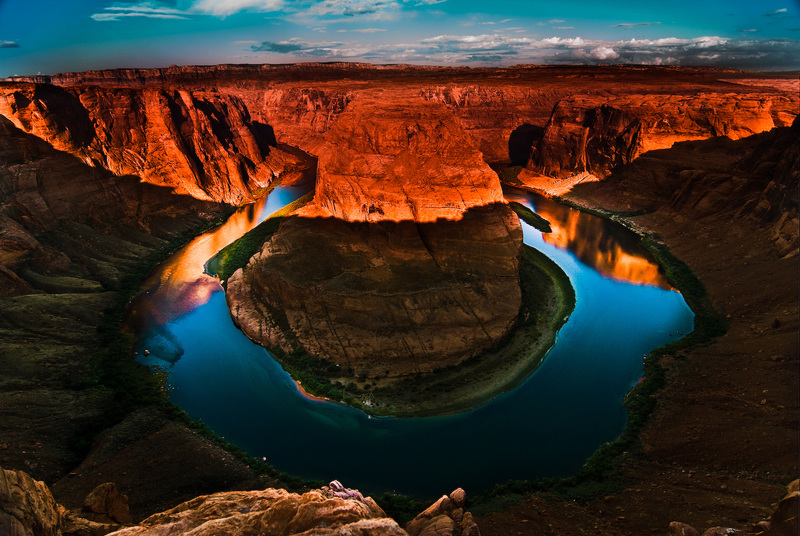 Horseshoe Bend is part of Glen Canyon, which was carved by the Colorado River over a period of 5 million years. 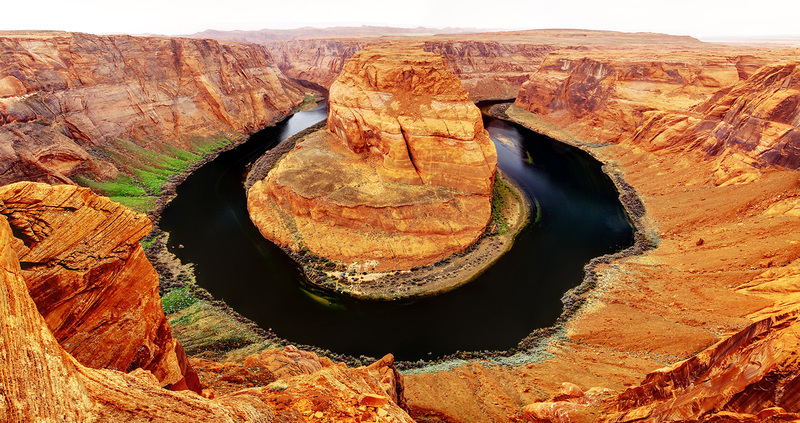 Glen Canyon is also home to the beautiful Lake Powell. 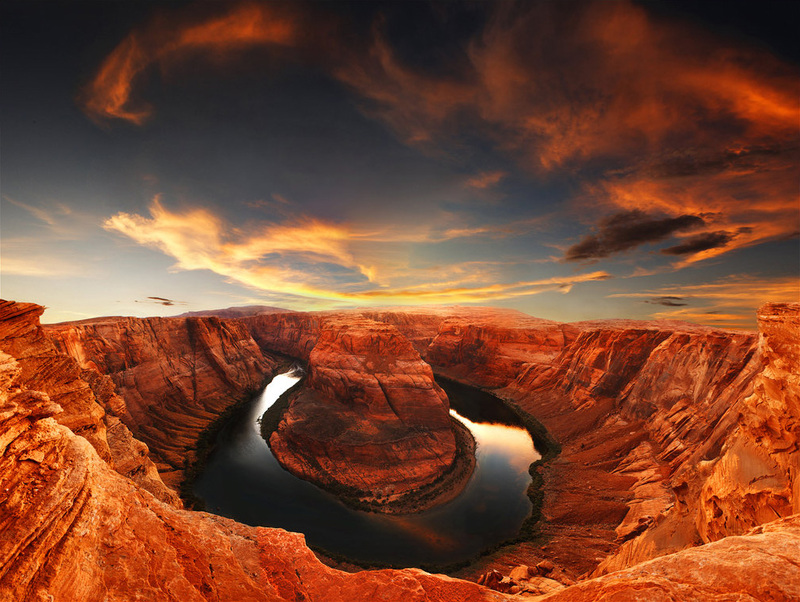 Horseshoe Bend is popular with photographers and tourists who seek the beautiful canyon scenery. tnx for the ideas. I hope I get some shots similar to these ! !